Over 250 years of experience combined! Contact us today! Biography: Travis has been in the travel industry for a number of years now and has an established clientele. Biography: Shelli is proud to be a member of the National Travel Systems team! She has been in the industry for over 30 years now. She specializes in both corporate and leisure travel. She has traveled to some of the most remarkable places on earth like Europe, Greece, Mexico, Alaska and the Caribbean to name a few. She loves to travel and can't think of any better job than helping others fulfill their travel dreams. Biography: Jamie has been in the travel industry for over 30 years. She has traveled to many destinations and enjoys a wide variety of vacation planning including group travel, honeymoons, cruises, Disney, Hawaii, the Caribbean, Mexico, and Europe. Biography: Mary launched her travel career on Valentines Day 1993 and hasn't looked back since. She has a degree in Education and has been married for over 50 years. Mary loves all kinds of travel but enjoys honeymoon, cruises and adventure tours the most. Mary has been to all seven continents and some of her favorite destinations include Africa, South America, Vietnam, Cambodia, Italy, Austria, Mexico and Eastern Europe. Biography: Sunny is a graduate of the International Aviation and Travel Academy and has been in the industry since 1990. She is one of our group specialists and loves planning vacation travel. Some of her favorite destinations include Europe, Africa and the Caribbean. Biography: Judie is one of our world travelers and has been a professional consultant for over 25 years. Some of the certificates she holds includes South African Specialist, KATS (Kenya) Specialist, College of Disney Knowledge, Lifetime Gold Member Preferred Sandals Specialist and Luxury and Adventure Travel Specialist. She also specializes in independent and escorted international travel and honeymoons. Some of her favorite destinations by land and sea include Africa, Europe, Mexico, Iceland, Israel, Turkey and the Caribbean. Biography: Mary has been in the travel business in Lubbock for over 35 years now. She joined the NTS team in 1997. She has traveled around the world and has visited Hawaii 12 times! Some of her other favorite destinations include Puerto Rico, Taiwan, Italy, England, Ireland, Spain, Germany and Switzerland. She has designations as a Certified Travel Counselor and as a Certified Sandals Specialist. Her area of expertise includes Las Vegas, honeymoons, family vacations, cruises and corporate travel including meetings and incentives. Biography: Susie has been in the travel industry since 1985. She is experienced in both corporate and leisure travel. Susie enjoys planning family vacations especially to the Caribbean, Mexico, Hawaii and cruise destinations. She has been fortunate to enjoy various world destinations ranging from Disneyworld to China and we are fortunate to have her on the NTS team. Biography: After over 35 years of meeting the many challenges of her clientele, Juda still finds travel an exciting business. She believes that a pleased client is the greatest reward you can have. She has traveled on almost all of the major cruise lines. Some of her favorite destinations include Hong Kong, Peru, Alaska, Europe, Mexico, Jamaica and the Turks and Caicos Islands. She still has a desire to find what is just beyond the hill, as they say in Texas! Biography: After raising three children, Keely embarked on a new journey in the travel industry. Having had the opportunity to experience missions travel to Kenya and India, she wanted to be able to provide that same experience for others. One of Keely's favorite destinations is the beach, whether it be in the U.S., Mexico, or the Caribbean, and she is looking forward to helping you book your leisure travel experience to your favorite destination as well. Biography: Sharla is following a lifelong dream of being a travel agent. She was born and raised here in Lubbock and attended both South Plains College and Texas Tech University. Before joining National Travel, she had been the General Manager for a local business for 20 years, which gave her many amazing opportunities to travel throughout the US, Mexico, and the Caribbean. However, her passion is with Disney and her specialty is Disney World travel. She truly believes in Disney "Magic" and would love to share it with you. Let her help you plan your next family vacation, honeymoon or maybe even a Disneymoon! Whatever your dream destination is she will enjoy helping you every step of the way. Biography: Valeri joined National Travel in October 2016. She has lived in Lubbock her whole life. Along with her husband and kids, she is ready to see the world. She loves to research and plan any trip you can imagine for yourself or your family, and she looks forward to making your vacation dreams a reality. Biography: Randa loves to travel. Her adventures have taken her many places in the US, Caribbean and Mexico. Randa loves great places to photograph and beautiful scenery. She was born and raised in Lubbock; she attended South Plains College and Wayland Baptist University. Randa enjoys researching and planning vacations for families, senior trips, honeymoons, destination weddings, Disney and any other type of adventure! 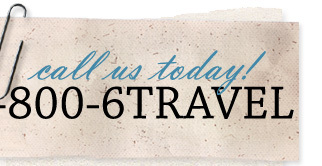 Please stop in and let Randa book your next vacation! Biography: After 35 years teaching in public education in San Diego, California, Sam retired and went into real estate 2005-2010. Born in Lubbock, Sam returned to Lubbock and married his high school sweetheart. After being a client of National Travel and Shelli McGee, he decided that this was a team to be a part of. Sam has traveled to Tahiti, Montego Bay, Jamaica, Rio, Brazil, Nassau, Bahamas, and up and down Baja California-Mexico, Tijuana, Rosarito, Puerto Nuevo and Ensenada. He is looking to plan his next trip and would love to help you plan your next trip. There are so many wonderful places to see and visit. Traveling to new, exotic places is a true pleasure!